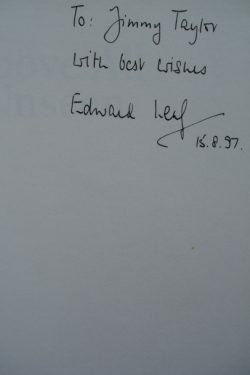 Patrick Stephens Ltd First edition 1997. 192 pages and not surprisingly, well illustrated with photos and maps. Fine Condition hardback book and dustjacket. Clean, tight and bright. 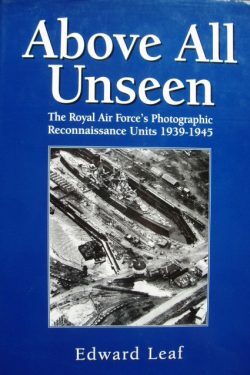 The RAF’s Photo Recce Units used a variety of specially modified, unarmed aircraft during WWII to obtain an unprecedented amount of accurate and timely information on the enemy. This is the story of the personnel, their aircraft and equipment, which flew more than 15000 sorties in all operational theatres of the war. 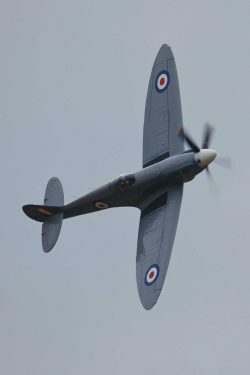 Also described are the many daring and top secret missions flown by the PRU in support of the Secret Intelligence Service, the SOE, the SAS and the RAF’s Special Duty squadrons. Among the historic operations detailed are the hunt for the Bismarck and the planning for the Dambusters Raid. An interesting signed WWII aviation book with a nice association. This book is listed on ACE.